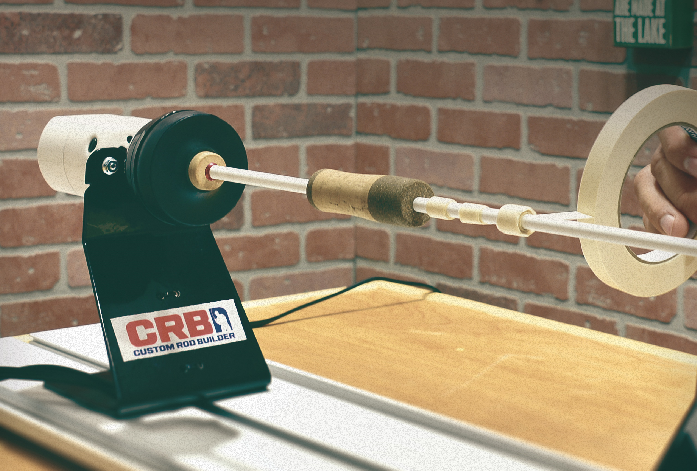 Since rod building is all about creating, enhancing, and repairing your fishing rod, CRB’s Power Head is an irreplaceable asset to any work station. Now with some added ingenuity, this Power Head is far more than just a power wrapper. 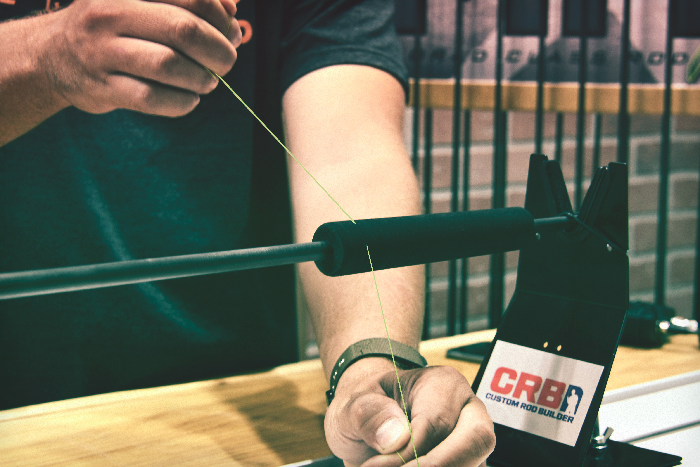 The most innovative yet value-based power wrapper on the market, CRB’s Power Head is the ideal tool when transitioning from beginner to power wrapping and rod building expert. Regulated through the foot pedal, the Power Head’s variable speed can reach up to 2,500 RPM to accomplish any power wrapping task at a fraction of the time. 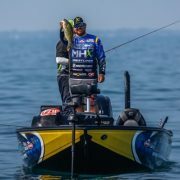 Despite its excellent performance in power wrapping, the Power Head’s adaptable speed supplies additional applications like making tape arbors, cutting EVA grips, reviving worn cork grips, sanding down grips, and removing fishing line. Increasing productivity, reducing fatigue, and saving money, it is hard to decide if the Power Head is more affordable or more useful. We’d reckon both! 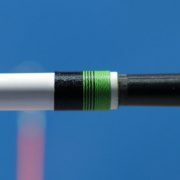 Although the rod building debate between supporters of graphite and tape arbors rages on, tape arbors remain one of the most common and effective arbors to prepare the blank for the reel seat. Tape arbors can be assembled manually however, making these arbors is often more tedious and time consuming than necessary. Hence, adding a little power will go a long way. With its user regulated speed, you have complete control over the pace of the Power Head to effortlessly form any tape arbor around the rod blank. 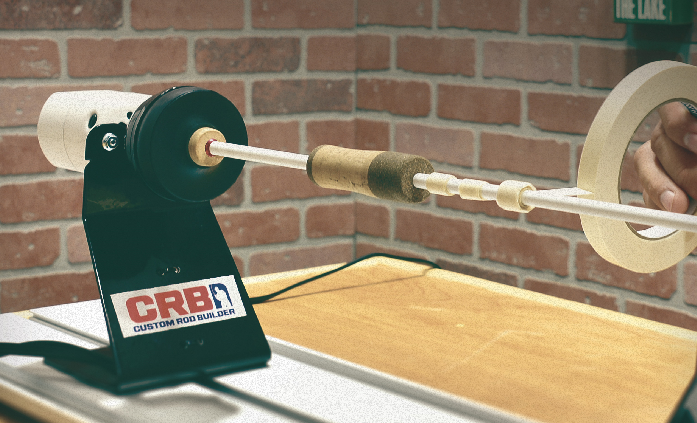 Using CRB’s Power Head is quick and easy, just use ¼” masking tape with the tag end secured on the rod blank, then ease on the foot pedal to before increasing pressure to speed up the process. 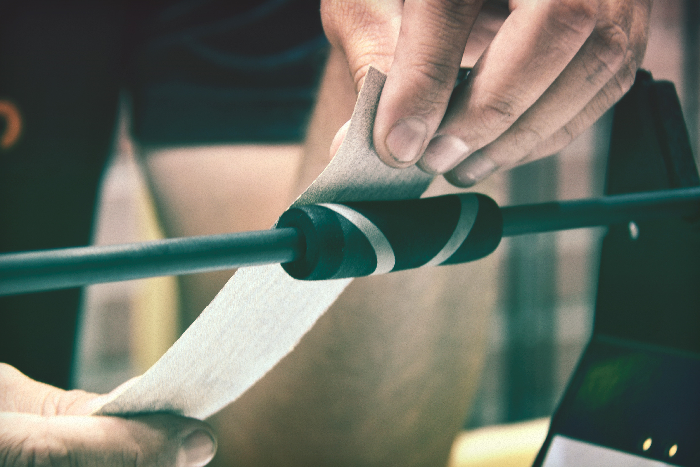 Make sure the outer diameter of the tape arbor is roughly the size of the inner diameter of the reel seat then repeat the process for any additional arbors and you are done in a quarter of the time compared to manual installation. Customization is one of the biggest benefits of rod building. 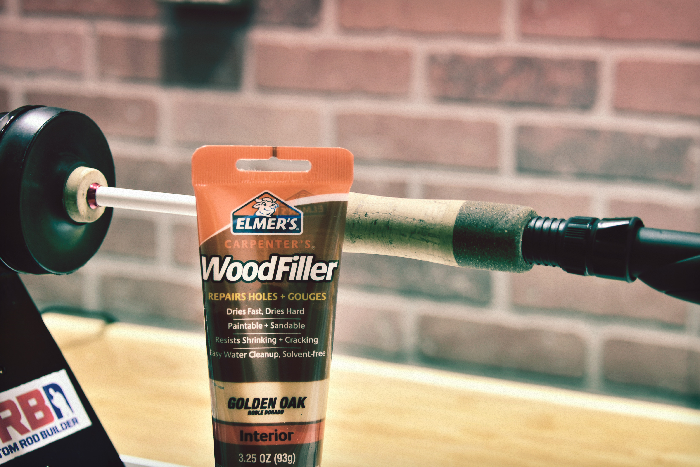 Tailoring a fishing rod to your specific grip and fishing application increases the rod’s overall performance. When cutting EVA grips to resize them for your custom handle assembly, you will notice how frustrating it is to make a clean, straight cut. Since EVA grips cut manually tend to turn out uneven and sloppy, the Power Head can be used to make smooth cuts straight through the EVA. 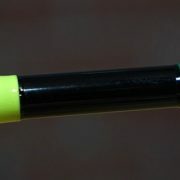 Using only the Power Head, size “D” Pro Wrap Thread, and your EVA grip, apply the EVA to a tapered rod blank with a snug fit and then chuck up the rod to the Power Head. Quickly cut straight edges on EVA grips with the CRB Power Head. Once the rod is spinning, run the thread horizontally across the EVA exactly where you want to cut it. The rotating EVA will cut like butter leaving a precisely cut straight edge that maintains the sleek look of your custom fishing rod. Cork is a classic material used for handle assemblies. 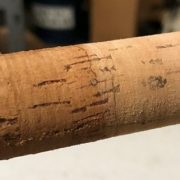 Bringing both a traditional look and feel to fishing rods, cork performs great for a few years before it eventually starts to deteriorate. As the cork erodes, your handle will be left with voids and holes that create a mangled exterior. The cork’s erosion will tarnish the grip of your fishing rod and lead to a replacement handle unless you replenish the original cork grip. Bringing old cork grips back to life is easily done with merely cork filler and CRB’s Power Head. Keep your cork in great condition with routine maintenance using the Power Head and cork filler. First apply a thorough coat of cork filler to the weathered grip so that all the voids and holes are refilled. Wait 15 minutes to an hour depending on the severity of the damaged cork, then place the rod and the grip coated in cork filler into the Power Head. Using the Power Head to rotate the cork grip, take some fine grit sand paper and smooth over the reconditioned cork to your liking. If you didn’t read the last section on cork grips, spoiler alert! The Power Head is perfect for sanding down both cork and EVA grips. Sanding handle material in the Power Head is perfect for minor changes to the grip’s shape. Customize the shape of your handle assembly by sanding the grip with the help of the Power Head. For example, if you fly fish but prefer a modified wells handle, simply sand down the area closest to the reel seat of a half wells handle using medium grit sandpaper and CRB’s Power Head. Sanding grips with the Power Head is as fast as it is effortless. With the Power Head’s sanding assistance, you can tailor the handle to your grip specifications in just minutes. Whether changing your fishing line to strip old line or increase the line’s strength, it’s an extremely important aspect of fishing. 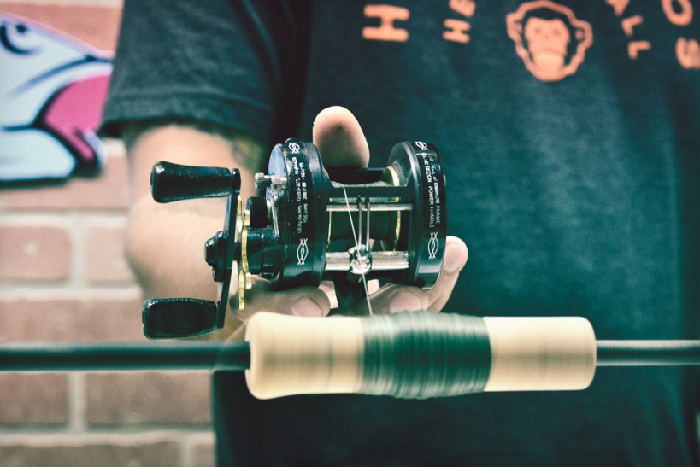 Just like cleaning a gun, changing out the fishing line is part of your rod’s routine maintenance, but unfortunately, it takes up a lot of time. Save time and energy by using the Power Head to do the labor for you. Replacing fishing line can be a real hassle, remove the stress by using CRB’s Power Head. This process is rather straightforward, first take off the reel and place your remaining rod in the Power Head. 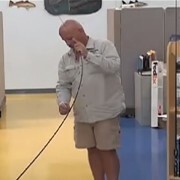 Next, tape down the fishing line from your reel onto the handle in the Power Head and open the bail on the reel. Finally, let it spin and watch as the line is pulled from the reel to the handle. Completing a time-consuming task faster than ever before, the Power Head removes fishing line from your reel with the ultimate speed and ease. Save yourself time and money by embracing the unlimited functionality of the CRB Power Head. Just chuck up your fishing rod to the Power Head and imagine all the work it will do for you!